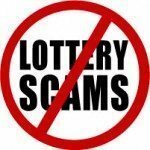 This ECOWAS lottery scam is the updated version for 2008.
the standard of living of people. and supermarket cash invoices around the world. Send all the requested claim information to Mr Adolfo Pepe. the Board kindly, accept our warmest congratulations.